At first blush, Vermont Gov. Phil Scott’s veto Wednesday of a limited recreational marijuana bill delivered a major blow to legalization efforts in the state and hopes for a new cannabis industry there. But the governor, in fact, left the door open to a compromise this year. Scott, a Republican, said he wants to offer a “path forward that takes a much more thorough look at what public health, safety and education policies are needed” before the state launches a recreational cannabis industry. “I know we cannot ignore the fact that it is a widely consumed substance and that many states and an entire nation to our north (Canada) are in the process of making it legal,” Scott said during a news conference Wednesday. His comments have given industry leaders and legalization advocates hope that Vermont will still push something through in the coming month or in 2018. Advocates also remain optimistic that the veto will not derail efforts in two nearby states, Rhode Island and New Jersey, to convince lawmakers to legalize recreational marijuana. S.22, as the bill was known, would have made Vermont the first state in the nation to pass legalization through the legislature. Legalized the possession of up to an ounce of cannabis for those 21 and older. Allowed adults to grow up to two mature plants and four immature plants at home, a move that would have opened a limited number of business opportunities for the ancillary cultivation segment, such as lighting, nutrients and other grow supplies. Established a nine-member commission to study and recommend how to tax and regulate adult-use cannabis, which could have paved the way for a rec industry in the state. Scott said he vetoed the bill for several reasons. He felt it didn’t sufficiently address educational issues and how to test for and punish marijuana-impaired driving. He also said it failed to adequately punish the sale of cannabis to minors. Additionally, the governor didn’t like that the special commission mandated by the measure didn’t include health and safety officials, and that the regulators had only until November to establish recommendations on how to regulate an adult-use market. The commission would need at least a year, Scott said, to get its recommendations right. But the governor also offered hope an adult-use measure could be approved soon. He stressed that if lawmakers are willing to address his concerns in a compromise bill that could be passed in a special legislative session, the measure still might get the green light this year. The special session, which opens June 21, is an opportunity for lawmakers to reconsider vetoed bills. While noting he has a Libertarian streak that compels him to support legislation that expands personal freedoms, Scott said he isn’t “philosophically opposed” to legalization and noted that popular support for adult-use legalization is growing. Nearly 60% of Vermont voters support rec MJ, according to a March survey by Public Policy Polling. Insiders said they believe the governor’s assertion that a bill could be passed this year. Even if a bill doesn’t get done this year, the odds of one passing in 2018 seem to have improved. In the meantime, Rhode Island and New Jersey still have an opportunity to become the first states to legalize recreational cannabis through the Legislature. 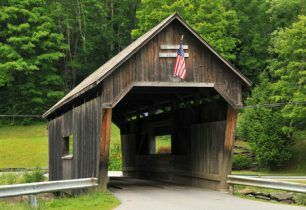 Observers in both states said they didn’t see the Vermont veto as detrimental to their efforts. Rhode Island lawmakers introduced a comprehensive legalization bill, but it has languished in committee for months. So one of the sponsors, state Sen. Josh Miller, submitted a newer measure that is modeled after Vermont’s. Miller believes Rhode Island’s situation is different because the state’s Democratic governor, Gina Raimondo, is more open to legalization than Scott. Miller added that the governor and lawmakers could forge a bill palatable to both. Meanwhile, New Jersey lawmakers introduced another adult-use legalization bill this month. Many observers believe the measure has a good chance of soon becoming law in a state where lawmakers meet year-round. The biggest obstacle – prohibitionist Gov. Chris Christie – leaves office at the end of the year. And most candidates vying to replace the Republican generally support legalization, said Michael Bronstein, a cannabis industry advocate who is active in New Jersey. “The political reality changes after Chris Christie leaves on Jan. 1,” Bronstein said. “Legalization is supported by most of the people running to replace him, and you have strong support in the legislature.